Camden resident, William Willis protects his face from the cold wind, as the sun goes down in Camden, N.J. Tuesday, December, 26, 2017. The stretch of below-freezing temperatures that has entered the region will most likely be its longest since 2004, according to meteorologists at the National Weather Service. That would happen if the mercury doesn't climb above 32 for nine consecutive days. 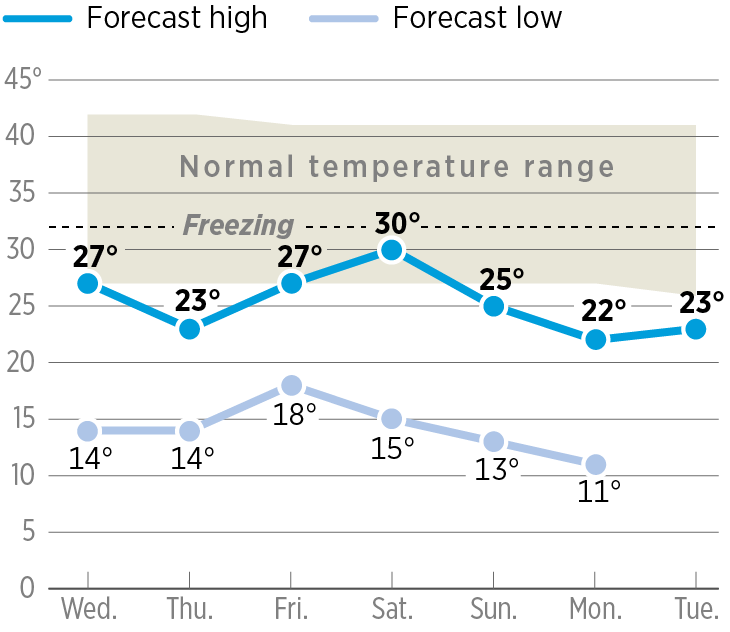 And if temperatures Tuesday don't reach the freezing point — and there's a good chance they won't — they probably will stay below freezing until the first week in January. "Today is actually going to be one of the warmest days of the week," meteorologist Sarah Johnson said Tuesday from the weather service offices in Mount Holly. The arctic blast is courtesy of an air mass from Canada that continues to build slowly toward the region, Johnson said. Through the end of the year, high temperatures in Philadelphia are not expected to be above freezing, well below the normal temperature range. By Thursday, the coldest day of the week, morning highs won't climb out of the lower 20s, while lows will be in the teens in the city and in the single digits in the outer suburbs. Across the region, wind chills will make it feel near zero. It could be the coldest point in nine months: March 5 was the last time temperatures got down to 15 degrees, the forecast low at Philadelphia International Airport for Thursday. 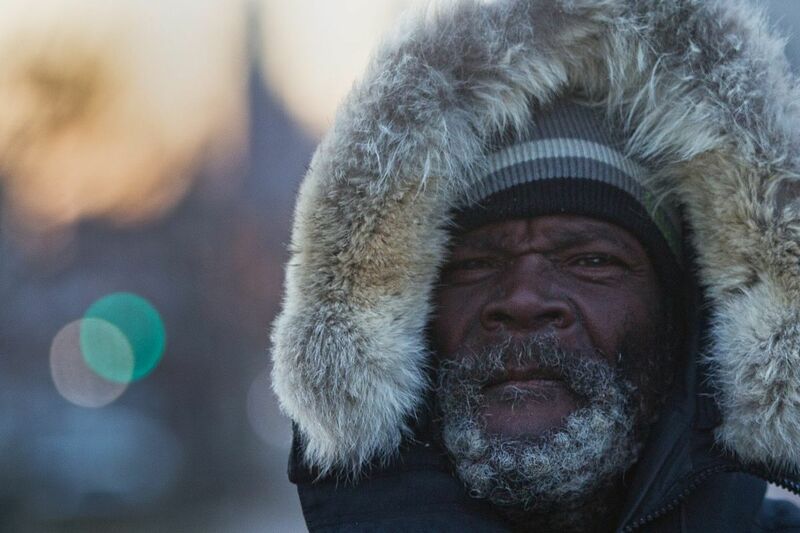 "It's not the coldest we've ever seen, but it's a pretty long period of below-freezing temperatures," Johnson said. A fast-moving, low-pressure system moving through the area late in the week could bring some snow Friday or Saturday — but how much and when remains unclear. Those forecasts will firm up by Thursday, Johnson said. A cold front Christmas morning delivered a brief glimpse of snow showers in some spots across the area, though mostly in snow pellets or grains rather than snowflakes. "You had to be watching it as it happened to know that it even snowed," Johnson said. At the opposite corner of the state, Mother Nature was not so reserved. A storm Monday dumped a record amount of snow on Erie and surrounding areas. The storm dropped 34 inches Monday and 19 inches Tuesday — the greatest two-day total in Pennsylvania history. The city issued a snow emergency. While the Philadelphia region has no chance of reaching its own snow records in the coming days, the National Weather Service is urging residents to follow basic cold safety tips, including trickling water through pipes to keep them from freezing, checking on neighbors and bringing pets inside.